The countries that were once isolated by the Iron Curtain of the Soviet regime are now quickly gaining force as capable competitors to India and other Asian countries traditionally chosen as suppliers of IT labor force. The report prepared by Qubit Labs on the rates of software developers across Central and Eastern Europe provides detailed by-country information for clients planning their outsourcing budgets and considering various locations to outsource software development. Here are some basic facts about countries in this region offering excellent outsourcing opportunities and worth being considered as outsourcing destinations. Outsourcing to Eastern Europe has grown in popularity in recent years for many reasons. Local developers show a great potential in terms of keeping pace with the latest technology and possess a broad array of highly demanded skills. Their full compliance with the modern technology demands is proven by numerous international awards and prizes coders from this region get in the IT sector. IT outsourcing always involves communication and interaction between the headquarters and the outsourced staff, which may become way harder in case of a cultural misfit. Representatives of different cultures have various attitudes to punctuality, conflict resolution, management, teamwork, etc., so the clash of two fundamentally different cultures may cause the project’s failure. Western clients may not fear such a challenge if they prefer to outsource software development to Eastern Europe as people here possess a mindset highly similar to that of Westerners. Eastern Europe is a location offering IT outsourcing with the best combination of price and quality. While most coders from this region possess a solid technical background and can deliver exceptional services, their rates are highly competitive as compared to Western programmers’ rates. Besides, additional costs such as office rental, office supplies, software and equipment are also cheaper in this region, which makes all aspects of outsourcing more cost-effective here. The large (and increasing) number of programmers with a solid technical background and in-depth engineering knowledge may be explained by the long-standing emphasis on high-quality education in the Soviet Union retained by most former republics until today. Higher education is more affordable here than in many other regions of the world, which enables young people to follow the latest tech trends and acquire the needed skillset to enter the IT workforce. One of the greatest challenges scaring international companies off the outsourcing solutions is the language barrier. Indeed, it’s very problematic to reach a desired goal in case you cannot reach the basic common understanding with your staff. However, this is not the case for Eastern Europe software outsourcing as coders here are predominantly proficient in English. Eastern Europe software outsourcing is convenient for many Western clients because of the convenience of work scheduling and travel. Moreover, unlike Asia, this region is low-risk in terms of calamities and natural disasters that may challenge the operation of an outsourced team and cause delays or data losses. Since the CEE labor markets are quite young in the global scale and are only beginning their entry to the international IT sector, they have already revealed an enormous growth potential. At present, Ukraine offers over 160,000 skilled IT professionals ready to offer their services, while Romania has around 95,000 IT experts for outsourcing projects. The region is maximally convenient for outsourcing for Western European companies because of minimal time difference between the states. In such a way, both in-house and outsourced teams may operate in conjunction and any meetings may be scheduled with no overtime hours in any of the offices. Clients from both Western Europe and more distant regions may find it super easy to visit their outsourced teams and offshore development centers in Eastern Europe due to highly developed infrastructure and convenience of flight schedules. Every European country has several transportation hubs to which any business traveler can get hassle-free. Most Eastern European countries have a large pool of talent to choose from, and numerous experts of various tech stack to hire to your existing team. Therefore, companies looking for IT outsourcing decisions may easily start from hiring of one or several developers and then expand the team on demand in the same location. Once the team grows to become an independently functioning outsourced unit, it’s easy to establish an ODC in most states of Eastern Europe, which also adds comfort and cost effectiveness to outsourcing in this region. IT outsourcing in Eastern Europe is not homogeneous since all countries in the region are unique and varied in terms of salaries, pool of talent, and work terms. Therefore, it is strongly recommended to consider each of the countries separately and analyze the IT outsourcing market existing there to make a wise decision for the long-term objective. 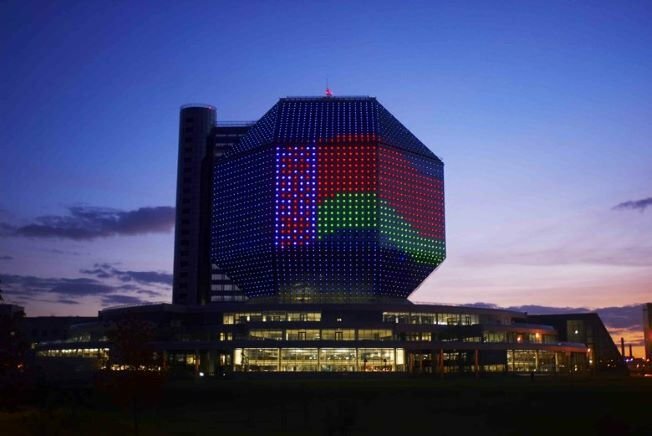 Belarus is thus far largely under-explored as an IT outsourcing location though the IT sector occupies the 3rd place in its economy. The country has a vibrant talent pool exceeding 77,000 programmers, and over 16,000 new specialists enter the sector every year after graduation from universities. There are four major IT hubs to outsource software development in Belarus: Minsk, Grodno, Gomel, and Vitebsk, while developers charge $1,200 – $4,100 for their services on average. If you wish to hire a Java developer here, you will need to pay from $1,500 for a junior-level specialist to $3,125 for a senior-level expert. PHP development costs from $1,500 to $4,500. Belarus is a highly affordable country both in terms of living and in terms of IT outsourcing. For instance, the cost of living in Minsk, the country’s capital, is estimated at around $442 per month for a single person, while a four-person family might need $1,597 without rent to live a well-to-do life here. The state has seven airports and is also quite comfortable to travel to and from. For example, it takes only 3 hours to travel from Minsk to Tel Aviv, 2 hours 40 minutes – to London, and 9.5 hours – to New York. Bulgaria is another popular IT outsourcing destination in Eastern Europe with over 400 IT companies functioning in the market and guaranteeing the country leadership in the region. Companies prefer to outsource software development to Bulgaria because of a great talent pool exceeding 50,000 IT specialists (50% of which are ICT-certified) and a high level of English proficiency among Bulgarian programmers (with English included as a compulsory subject in the higher education curriculum). Companies prefer to establish outsourced teams and R&D centers here because of the expertise and variety of programming languages supplied by the Bulgarian workforce. There are four major Bulgarian IT hubs including its capital Sofia and large cities such as Varna, Burgas, and Plovdiv. The country has five international airports to and from which business clients can easily get to any corner of the world. For instance, it takes only 2 hours 53 minutes to get to London, 10 hours to reach New York, and 2 hours 17 minutes – to get to Tel Aviv. 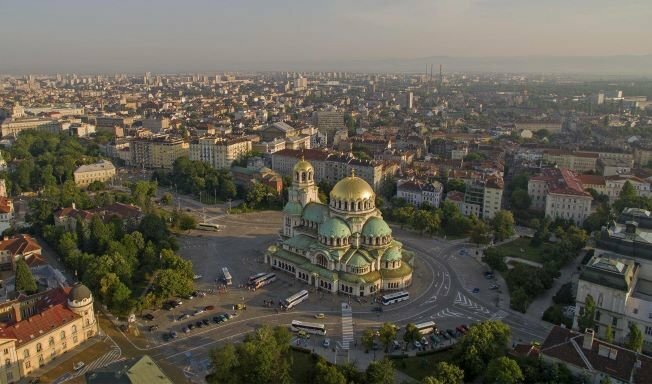 The cost of living in Bulgaria is affordable in the context of average regional indicators; for instance, a single person may live comfortably on $503.57 per month without rent, while a family of four needs $1,756 for comfortable living. Life in Burgas is cheaper, with $449.56 needed for one person for comfort, while a family of four requires a monthly income of $1,547.23. Hungary is another location that companies preferring to outsource software development to Eastern Europe may consider as an option. It is not that famous as an IT outsourcing hub, but due to its under-explored potential, it offers a great number of advantages in this sector. First, the EU membership and a central location makes the country closer to Western Europe in terms of mindset, legislation, financial institutions, and time zone, thus ensuring better cohesion between the in-house and outsourced teams. Second, over 2% of the country’s population are actively employed in the IT sector, which makes it a hub with a great talent pool and a diversity of candidates to choose from. There are over 80,000 software developers in Hungary, and their number increases exponentially with around 21,000 tech university graduates joining the talent pool every year. IT sector brought the country 3.7% in corporate revenue. In terms of salaries, companies should be ready to pay from $1,500 to $4,000 per month to local developers. Five large cities are considered IT hubs here: Budapest, Debrecen, Miskolc, Szeged, and Veszprem. 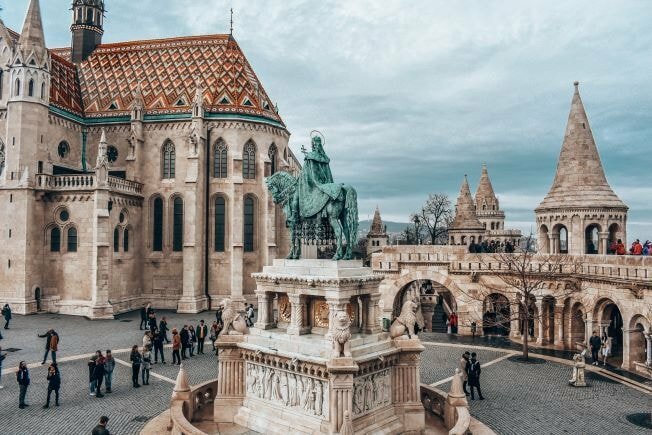 Hungary has only four international airports, but they are easily reachable because of the country’s small geographical area, which makes business travel convenient and fast. In this way, clients from London can get to Budapest in 2 hours, clients from New York reach Hungary in 9 hours 20 minutes, while a travel from Tel Aviv takes only 3 hours. Hungary is also attractive in terms of the cost of living. One person living in Budapest needs around $577 for comfortable expenditure, while a family of four requires $1,967 for well-to-do lifestyle. Life in other cities is even more affordable, with a single-person budget for living in Debrecen constituting $505.5, and $477 in Szeged. Poland is a very popular IT outsourcing destination in Eastern Europe because of its labor market’s maturity, the long-standing EU membership, the Western culture and mindset, and high English language proficiency. The country boasts an impressive developer talent pool exceeding 70,000 persons, with over 15,000 university graduates entering the sector every year. In terms of technical skills, Polish coders enjoy a very high HackerRank rating of 98 out of 100. Here clients can find a diversity of skill and talent, with programmers specializing in both common and rare technologies, while the commonest specialization includes Java, C#, C/C++, JS, .NET and Python. There are five major tech hubs in Poland: Krakow, Warsaw, Wroclaw, Lodz, and Poznan, while rates charged by programmers across the state range from $650 to $5,000. 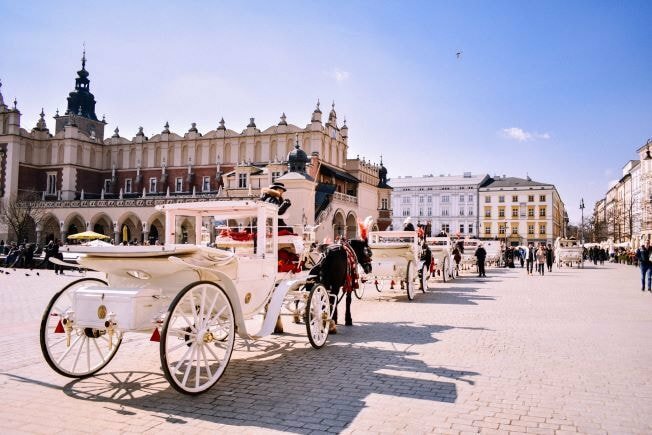 The cost of living in Poland is higher than in many other neighboring states; a single person requires $523.5 without rent for comfortable living in Krakow, while the cost of living in Warsaw amounts to $554 per month for one individual. There are 11 airports in Poland, which makes it very easy for clients to get to their outsourcing teams on business. The time needed for travel is also moderate; it takes 9 hours 18 minutes to get from Krakow to New York, 2 hours – to get to London, and 3 hours 20 minutes – to Tel Aviv. Romania has all chances to take the lead among Eastern Europe software outsourcing locations. It takes the first place in the region in terms of IT outsourcing and exhibits quick growth in this area. Reasons for which clients prefer Romania outsourcing companies to others are the multi-lingual talent pool (with English, French, Italian, and German enjoying the highest popularity), expert IT knowledge (the HackerRank score of 81.9 out of 100) and affordable rates ($1,000-$7,000). The cities in which IT talent is concentrated include Bucharest, Galati, and Cluj. There are only four airports in Romania, but given the small area of the country, this number still ensures convenience of getting to any major city by air. It takes 2 hours 20 minutes to get from Bucharest to Tel Aviv, 10 hours – to New York, and 3 hours – to London. 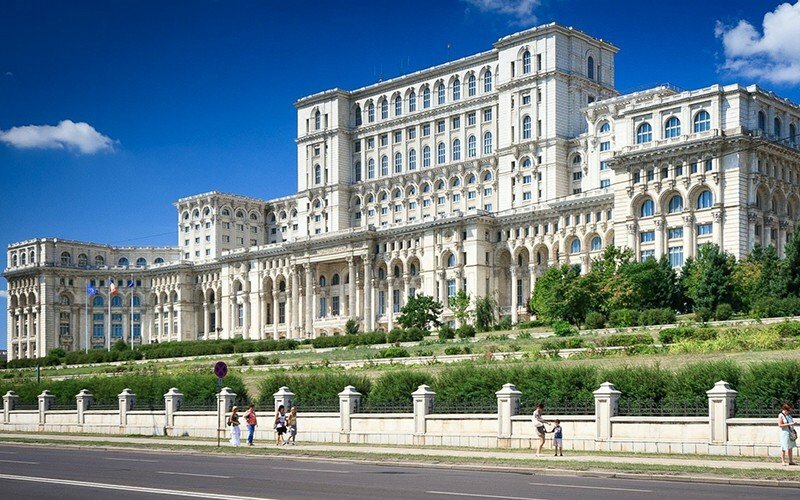 The cost of living in Romania is generally more affordable than in many neighboring countries. For instance, the monthly cost of living in Bucharest constitutes $488 for a single person and $1,706 for a family consisting of four persons. For comparison, living in Cluj costs $460 per person and $1,593 per a four-person household without rent. Companies that choose to outsource software development to Ukraine are attracted by the largest talent pool in Eastern Europe (over 160,000 programmers) and an immense growth potential that the country reveals (18 local outsourcing companies included in the IAOP Global Outsourcing 100 list). Ukrainian developers are ranked 88.7 out of 100 by HackerRank and specialize both in common programming technologies and in rare, even exclusive, ones. Software developer salaries in Ukraine range from $500 to 3,500 per month in average here. 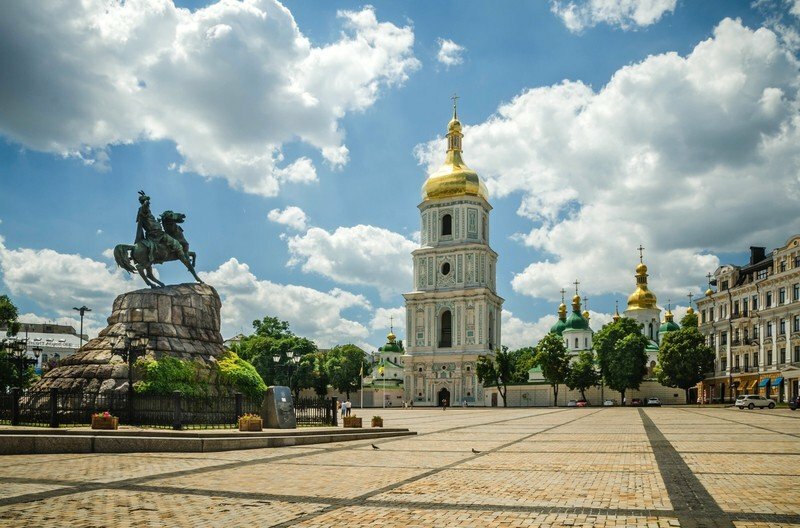 The cost of living in Ukraine is highly affordable, ranging around $350-400 per one person (maximum $405 in Kiev). There are 21 airports in the country. In addition, ease of travel to and from Ukraine is impressive: it takes only 3 hours to get from Kiev to London, 10 hours – to New York, and 3 hours – to Tel Aviv. Get access to the full report by filling in this form. Based on the provided data, Eastern Europe seems to be a perfect outsourcing location where the pool of programming talent is impressive and its combination with low rates is ideal for any employer. If you have decided to outsource software development to this region, then Ukraine is a location offering the best cost-benefit balance. Hiring developers in Ukraine is not hard because of abundance of talent and availability of diverse tech stack here; Qubit Labs can help you with the recruitment process by completing the hiring of any complexity – from a single specialist to the entire coding team. We offer excellent scaling opportunities for clients by finding one or two programmers in accordance with their requirements at first, and then expanding the team with additional staff and even helping the clients to open their R&D office in Ukraine. Get started with outsourcing to Eastern Europe together with Qubit Labs, your trusted professional recruiter!